Princess Carly in Avenue Magazine — the feature! Since we showed you the shoot here, we thought you’d like to see Princess Carly in the finished product. 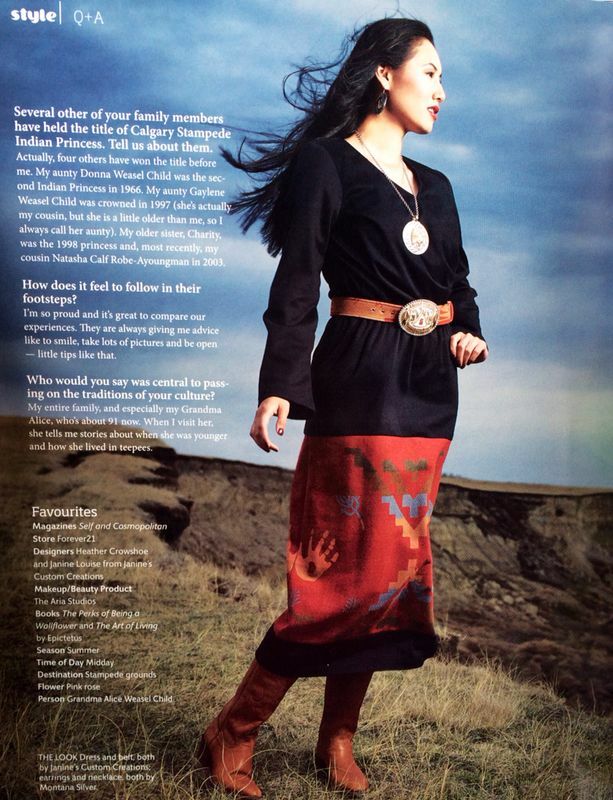 The dress by Janine’s Custom Creations uses our Rock Art fabric, available here at http://www.pendleton-usa.com. We’re proud to help sponsor Carly. You can follow her on Facebook and Twitter as she travels throughout Europe and Canada as an ambassador for the Calgary Stampede.